Photos may be artist rendering, model home or same model due to current construction stage. MLS#21635905. CENTURY 21 Scheetz. Wellington Northeast - Don't let this one slip past you. MLS#21632688. RE/MAX Ability Plus. Located on tree-lined cul-de-sac, near Morse Beach Reservoir, trails & nature preserve. 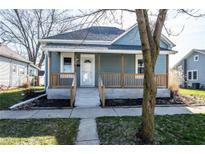 MLS#21633495. Redfin Corporation. Don’t Miss Your Chance To Make This House Your Home! ! MLS#21636267. eXp Realty, LLC. Lincoln Park - Walkable/bikable to every level of school from kindergarten to college, shopping & dining downtown, and 3 city parks. MLS#21635769. F.C. Tucker Company. Fairfield Farms - Excellent schools and close to shopping, entertainment, dining, and much more. MLS#21635725. Creative Approach Realty. Windwood At Morse - Master retreat is huge, featuring an extra large sitting area and master bath with a generously sized walk in closet. Don't miss this one! MLS#21635863. Carpenter, REALTORS®. See Supplements For Additional Features & Updates! MLS#21635353. Keller Williams Indy Metro NE. Highlands At Stony Creek - Community Backs Up To Stony Creek Golf Course! MLS#21636076. F.C. Tucker Company. 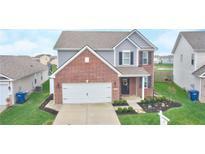 Lots of updates that include: Brand new carpet, flooring, freshly painted interior and kitchen cabinets, 16x22 custom built deck with incredible views, great location close to Hamilton Town Center(Shops, Restaurants, etc), MLS#21634922. CENTURY 21 Scheetz. 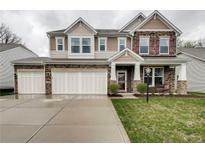 Lakes At Prairie Crossing - Perfect Location & Price! Come Take Look A Look MLS#21635727. CENTURY 21 Scheetz. Come out today to tour the Everett. MLS#21635890. CENTURY 21 Scheetz. Brighton Knoll - Master suite features walk in closet. Open Concept living area! MLS#21635437. MC Home Realty. Newer deck, water heater & water softener plus 1 year buyer home warranty included! MLS#21635696. CENTURY 21 Scheetz. Top rated/Award winning HSE Schools, seconds to Hamilton Town Center, an earshot away from the summer concerts at Ruoff Music Center, & close to the interstate for an easy commute. Don't miss this opportunity! MLS#21633684. Dorfman Property Management. Fairfield Farms - This is a home you can be proud of! MLS#21629073. Inspire Real Estate LLC. Fairways At Prairie Cross - Den/ office could become a 3rd bedroom. professionally landscaped lot. 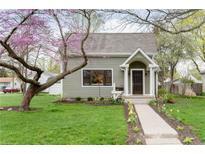 MLS#21633273. Berkshire Hathaway Home. Life doesn't get much easier! MLS#21633464. F.C. Tucker Company. Oversized lot, professionally designed & landscaped, paver patio, fire pit, irrigation system, 3 car garage. MLS#21633650. Berkshire Hathaway Home. Absolute turn key improvement with exquisite park like setting. MLS#21635017. Encore Sotheby's International. East Harbour - Cove location is ideal for swimming, fishing and protection from wind/waves! MLS#21635433. CENTURY 21 Scheetz. 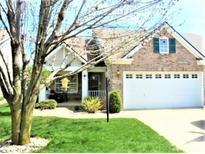 Waterman Farms - Hurry, this great home will sell quick. MLS#21635009. F.C. Tucker Company. Exterior of home in as/is condition. MLS#21635583. F.C. Tucker Company. These statistics are updated daily from the Metropolitan Indianapolis Board of REALTORS® Multiple Listing Service. For further analysis or to obtain statistics not shown below please call Highgarden Real Estate at 859-468-4103 and speak with one of our real estate consultants.